Shuffle Master is a company known for its various iGaming products that it dishes out sporadically. One of these products is the 88 Fortunes Slot. This is a title centred on the Chinese culture. The main number is 8 – apparently, in Chinese culture, this number symbolizes good luck and fortune. That being said, the entire theme of 88 Fortunes Slot is reminiscent of ancient China. There is the music of the same quality that runs in the background at all times. There are, in total, 243 different ways to win in this game. The winning combinations are created from left to right, on adjacent reels. There are five reels with three rows each. This game doesn’t feature any discernible characters or a plot line. But if you’re a fan of ancient Chinese culture – you should give this play a try. We think that its theme will charm you. 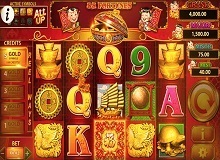 There is a number of different symbols that you will see in the 88 Fortune casino slot online version. There are boat and turtle figurines, a golden gong, and a few other symbols including the good old A-J symbols. There are a few special rules that you should forward to in this game. First of all, there is the option to select a different number of golden symbols while playing. You can have one golden symbol at the very least, and ad maximum – you can have 5. It takes more money for you to have all 5 golden symbols while playing. In this sense, the minimum bet you can make is 0.08 coins. The maximum bet 88 coins. This keeps in line with the 88 Fortune central theme of the number 8. Where the golden symbols come into play is for the jackpot feature. Every time you get a Fu Bat symbol in the pokie – you can activate this feature. The Fu Bat, by the way, also acts as a wild symbol and can take the form any other symbol in the game. There are 4 different jackpots that you can win if you play 88 Fortunes slot machine online – the mini, minor, major, and grand jackpot. They depend on the number of golden symbols you have during the spins. Also, if you play 88 Fortunes slot, then you can get free spins, too. The way to get them is by getting 3 golden gong symbols during any spin. You will get 10 free spins that can be retriggered. A great feature here is that, during the free spins, the A-10 symbols won’t be in play. This means you can make big winnings. The game works on the principle of random number generators. It means that the event outcomes of every single spin are independent of one another. They cannot be predicted. This means that if you play 88 Fortunes for real money and if you wish to win – you’ll need to get lucky. Even though the game is all about the number 8 – it still doesn’t feature a 98% RTP rate. In turn, the RTP rate of 88 Fortunes is 96%. This is still an attractive rate – but not as much as 98% would be. If you wish to try this game out, risk-free, then this too is possible. You can find an 88 Fortune free version online. There are many websites that feature a free-to-play demo of this game. This will give you a chance to play 88 Fortune Slot for free and see what you will experience by playing. 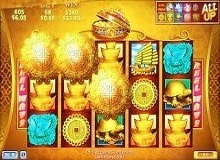 88 Fortune Slot is a game that you should definitely play if you love the ancient Chinese culture. In this sense, the 88 Fortunes game will definitely charm you with its attention to detail and style. If you’re all about the money – then we suggest you be on the lookout for the 4 tiers of jackpots. They can win you quite the big sum of money. And all-in-all, this is a highly enjoyable slot. 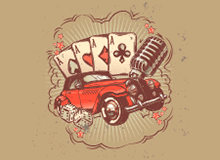 You can find it in many online casinos where you can play it for real money or for fun. 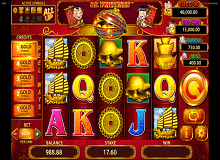 We hope that you’ll enjoy your experience while playing 88 Fortunes Slot.